Vietnam’s Ministry of Planning and Investment has submitted for approval, a new draft law on special administrative-economic zones (SAEZ) to attract more investments in three special administrative-economic zones located in Van Don (Quang Ninh Province), North Van Phong (Khanh Hoa Province) and Phu Quoc Island (Kien Giang Province). All three SAEZ’s are known for specializing in certain industries. Van Don SAEZ: Industries include ones supporting advanced technology, eco-tourism, cultural tourism, air transportation and services supporting air transportation, and international commerce and consumption. North Van Phong SAEZ: Industries include precise information, electronics, mechanics technology, international goods and passenger’s seaport, tourism, seaport services, commerce, and finance. Phu Quoc SAEZ: Industries include wellness tourism, eco-tourism, international convention/exhibition center, international commerce and consumption, assets management, and healthcare. All three SAEZ will benefit from a number of preferential treatments. Companies or projects located in the SAEZ, the investment and business registration will be conducted at the Public Administrative Center, which will govern the three SAEZs, instead of the People’s Council. This will reduce administrative procedures leading to efficiency. Investors qualifying as a strategic investor according to the Draft Law will receive preferential treatment in the processing of investment procedures, site clearance, compensation procedures and allowing to select projects in involving more than 2 investors. Besides leasing and sub-leasing land, the foreign-invested enterprise may receive a land allocation from the State to conduct the projects in SAEZ. For investments that are in line with the specialized industries in the SAEZ’s, the land lease tenure may be as long as 99 years, subject to the Prime Minister’s decision. Investors could be exempted from land and water surface rent for up to 15 years. For the investments that are in line with the specialized industries for each SAEZ’s and the projects of strategic investors, investors may be exempted from land and water surface lease fee during the project implementation period. Non-agricultural land use tax has been exempted in the new proposal. Construction permits may be waived for constructions that have been approved in the 1/500 detail zoning plan and small-sized advertisement billboards. 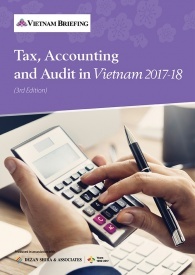 Vietnamese tourists residing in the SAEZ for more than 24 hours at select accommodation will be able to purchase tax-exempt goods in a tax-free zone, while few products imported for creating fixed assets and which cannot be manufactured in Vietnam may be exempt from import tax. The standard enterprise income tax preferential treatment applicable would include; a special tax rate of 10 percent for 15 years, tax waiver for four years, and a 50 percent reduction in tax payment for nine years applicable from the year in which the taxable income is generated. The enterprise income tax preferential treatment will vary, according to the investments. For casino business, the preferential excise tax rate of 10 percent may be applied for 10 years, from the day of revenue generation. Foreign-invested enterprises headquartered in SAEZ may exercise their import, export, and distribution rights within the SAEZ in line with domestic investors. This also includes the service sectors not included in any applicable treaties. Foreign-invested trading companies would not be required to obtain a trading license and pass the economic needs test that foreign retailers have to do for establishing new retail outlets. Foreigners coming into SAEZ by air or sea transport may be exempted from visa requirements if their stay does not exceed 60 days. The proposal also includes provision for setting up casinos in the SAEZ to lure foreign investors. Vietnamese will also have access to the legalized casinos in the SAEZs. All three SAEZ’s are predicted to contribute heavily to the economy from 2020 and can achieve an average per capita income of 12,000-13,000 USD by 2030. Offering greater investments, increasing transparency, and reducing restrictions in SAEZs will increase competitiveness and lead to a favorable business environment, especially for foreign investors. The draft law will come into effect, after the approval by the National Assembly. 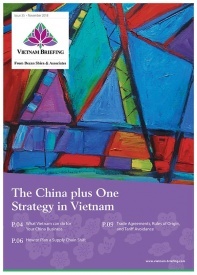 Vietnam Briefing is published by Asia Briefing, a subsidiary of Dezan Shira & Associates. We produce material for foreign investors throughout Eurasia, including ASEAN, China, India, Indonesia, Russia & the Silk Road. For editorial matters please contact us here and for a complimentary subscription to our products, please click here. Dezan Shira & Associates is a pan-Asia, multi-disciplinary professional services firm, providing legal, tax and operational advisory to international corporate investors. 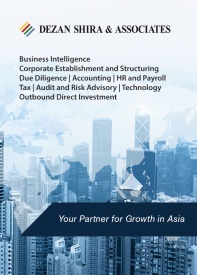 Operational throughout China, ASEAN, and India, our mission is to guide foreign companies through Asia’s complex regulatory environment and assist them with all aspects of establishing, maintaining and growing their business operations in the region. This brochure provides an overview of the services and expertise Dezan Shira & Associates can provide. 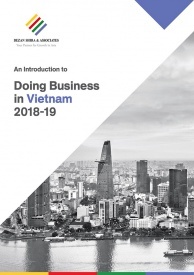 An Introduction to Doing Business in Vietnam 2017 will provide readers with an overview of the fundamentals of investing and conducting business in Vietnam. 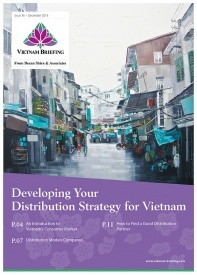 Compiled by Dezan Shira & Associates, a specialist foreign direct investment practice, this guide explains the basics of company establishment, annual compliance, taxation, human resources, payroll, and social insurance in this dynamic country. 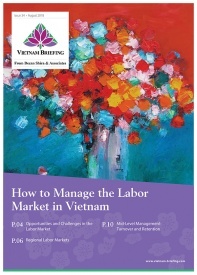 In this issue of Vietnam Briefing, we discuss the prevailing state of labor pools in Vietnam and outline key considerations for those seeking to staff and retain workers in the country. We highlight the increasing demand for skilled labor, provide in depth coverage of existing contract options, and showcase severance liabilities that may arise if workers or employers choose to terminate their contracts.